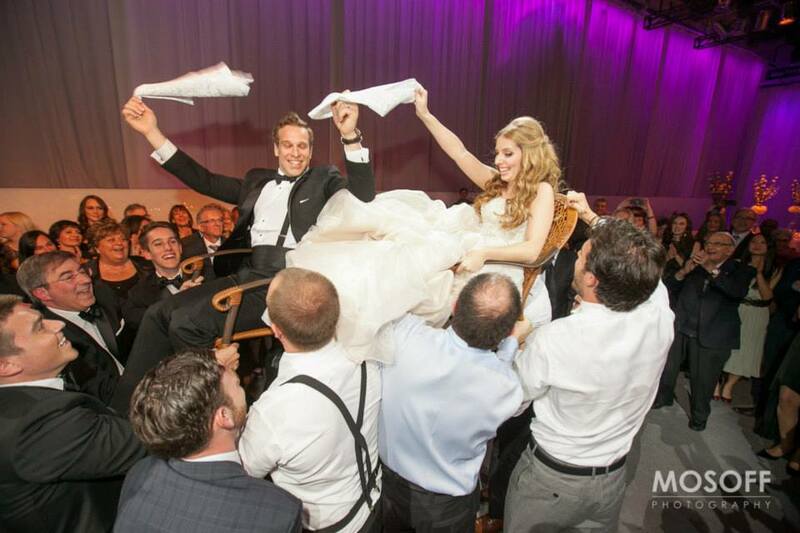 On May 12, 2013, we had the pleasure of working on Rachel and Jordan’s lovely and charming wedding. Both the ceremony and the reception took place at LibertyGrand, in the beautiful Artifacts Room. The amazing staff at Liberty Grand took great care of the entire bridal party during the day and catered to every guest’s whim throughout the evening. 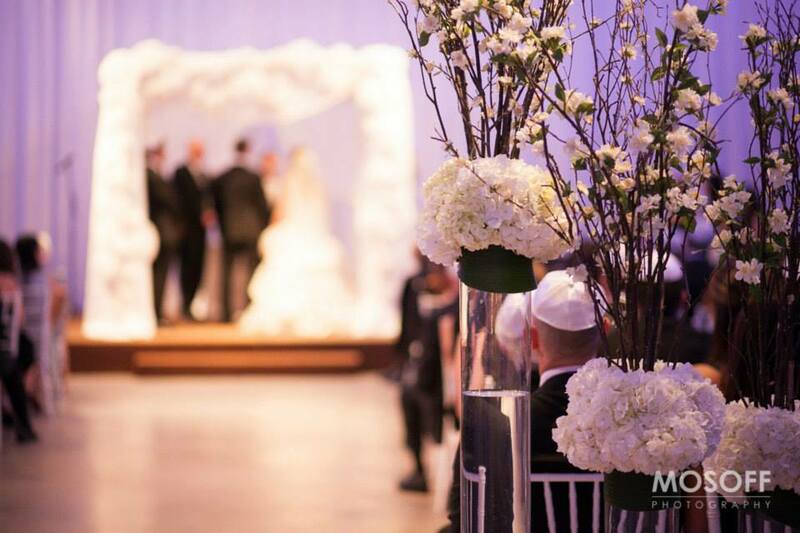 All of the florals and décor, including the stunning chuppah (a special canopy used for Jewish ceremonies), were designed and provided by Florence Event Design. 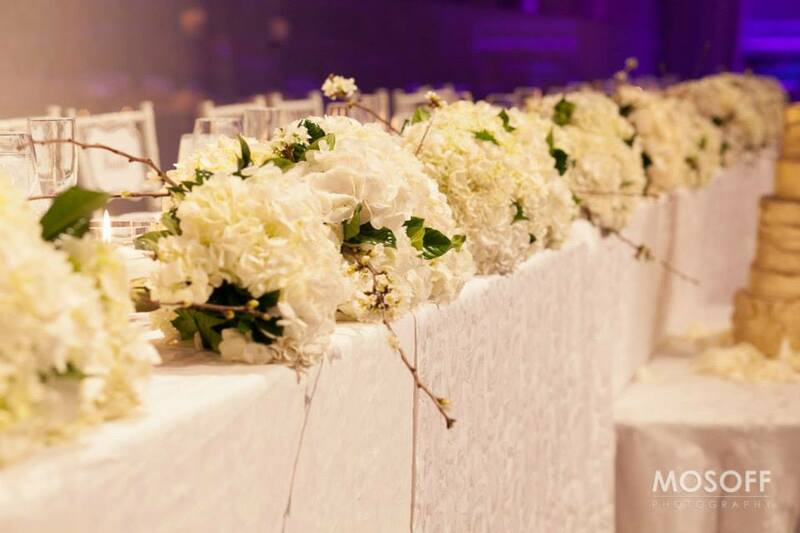 The chuppah was especially striking, made entirely of large, white, Chanel inspired silk flowers. 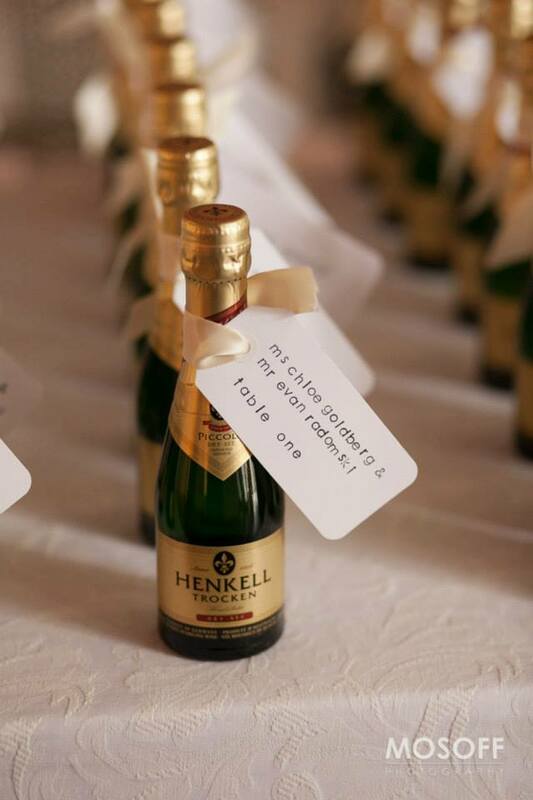 As guests entered the Artifacts Room for the ceremony, they were greeted with delightful music by a professional cello player from Westwood Music, where they found individualized mini champagne bottles that served as both a table seating card and a cute wedding favour. After the lovely ceremony, performed by Rabbi Splanski, the guests were treated to scrumptious appetizers and delicious drinks during the cocktail hour. The reception started with the traditional Horah, which had the dance floor packed with all of Jordan and Rachel’s family and friends, celebrating along with the happy couple. The evening was filled with laughs and memories as the people closest to the couple conveyed their well wishes along with some advice for a successful marriage. 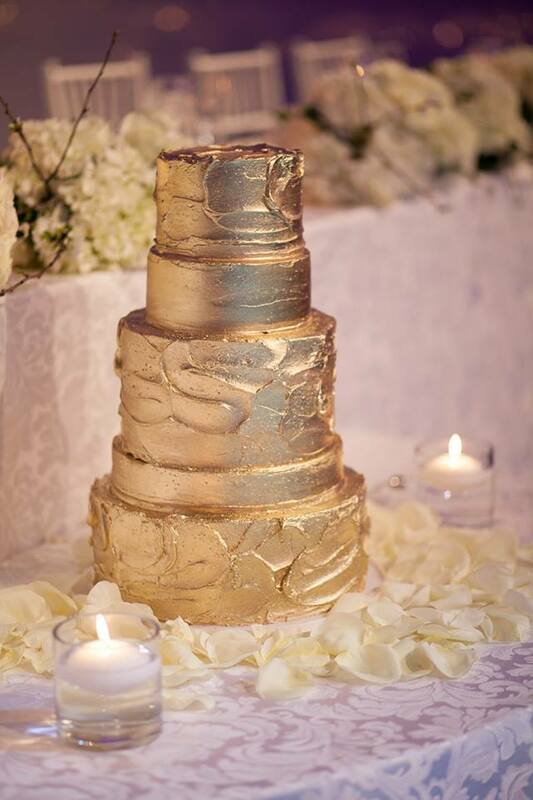 As if the evening could not get even sweeter, after dinner, guests were treated to a striking and delicious gold cake from The Wedding Cake Shoppe, along with many other goodies, including a donut tower! The entire day was captured beautifully by talented photographer Brian Mosoff. Rachel and Jordan are a delightful couple and were an absolute pleasure to work with! We wish them many years of happiness together!